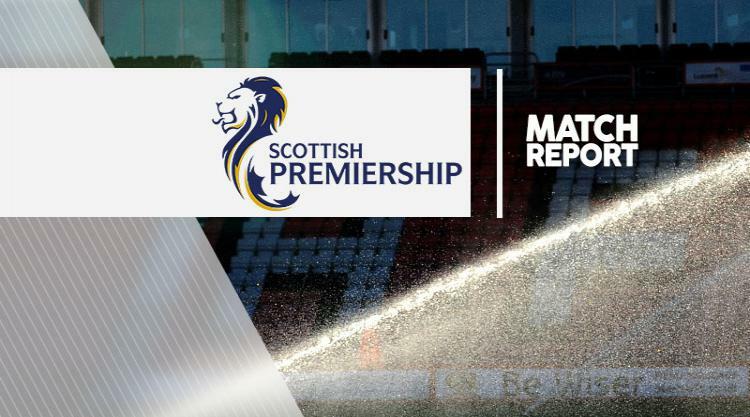 Hamilton and Kilmarnock shared the points after a keenly-contested 1-1 draw in the Ladbrokes Premiership. Killie dominated the early stages of the game and went ahead inside the opening 10 minutes with a long-range effort from Sean Longstaff. However, Hamilton gradually grew in confidence and equalised moments before half-time with a composed finish from Eamonn Brophy. Both teams had chances to grab a second-half winner but settled for a draw, which sees Hamilton stay in the relegation play-off position, two points behind Dundee and Partick with Killie a further point clear. Killie went on the offensive straight from the kick-off and took the lead on seven minutes after a fine strike from Longstaff. The midfielder had time to pick his spot on the edge of the area to rifle the ball low into the corner for his second goal in a week. Hamilton looked nervous early on with a series of misplaced passes and suffered a further blow on the 15-minute mark when leading frontman Alex D'Acol was substituted off after being injured in the opposition box. Yet Hamilton should have equalised on 38 minutes. Substitute Brophy found himself one-on-one with Killie keeper Freddie Woodman after a cute through-ball from Danny Redmond, but curled his low effort inches past the near post. Darian McKinnon then tried his luck, his driving run ending with a low strike which trundled narrowly wide. On 43 minutes, the Accies got their goal as Brophy spun past his marker on the edge of the area and rifled a low drive past the despairing Woodman. Only Gary Dicker's goal-line header prevented a re-energised Hamilton from going into the break in the lead. Kilmarnock started the second 45 minutes on the front foot and could have taken the lead for a second time. Kris Boyd connected with Rory McKenzie's cut-back from the left but could only divert into the side-netting. Accies captain Mikey Devlin missed a glorious chance to grab the game's third goal as he headed wide from five yards out with the goal at his mercy. Moments later, McKenzie was again the provider for Boyd after finding freedom on the left wing. Once more however, the Killie number nine poked wide of goal. McKinnon threatened to net a late winner for the hosts, his arrowed long-range strike flying inches over the bar. And only Killie keeper Woodman's agility prevented Accies nicking a late goal, as he reacted quickly to palm over Redmond's inswinging corner. A stoppage-time header from McKenzie nearly sent the away support into raptures but Accies keeper Gary Woods comfortably thwarted the effort.